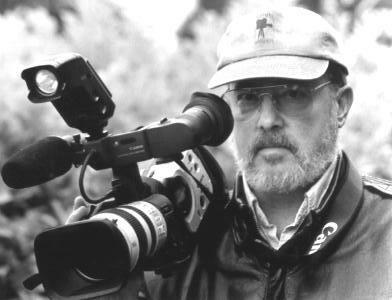 RICK SCHMIDT is an Independent Filmmaker and Author who has spent more than twenty-five years producing award-winning low-budget feature films that have received both national and international acclaim. His films include "A Man, a Woman, and a Killer"
(co-directed with Wayne Wang); "Morgan's Cake"; "American Orpheus"; and "Blues for the Avatar"; as well as several films produced through his collaborative Feature Workshops. He lives in Port Townsend, Washington. "How to Write, Produce, Direct, Shoot, Edit, and Promote a Feature-Length Movie for Less than $15,000. "Lonliness is Soul" a collaborative-feature movie will be shown during workshop. The SEMINAR is a guide to making it in the indie world. *Selecting and writing a story that can be produced on a tight "bare bones" budget. *Rallying a filmmaking team through creative contracts. *Shooting and editing with an original style. 2000 EDITION OF "FEATURE FILMMAKING AT USED CAR PRICES" BOOK.